We recently came across an issue with one of our clients who was having troubles with showing colleagues’ blog post updates in newsfeed part of the profile page in SharePoint (2010) MySite. In our client’s case the problem was that no activities were being displayed let alone the blog updates which is something that proved to require some additional steps to resolve. The aim of this post is to show what steps we took to resolve the issue and hopefully help you plan if you are introducing or extending the SharePoint social features. Firstly, you will need to make some checks by visiting the SharePoint Central Administration site (or ask your SharePoint Administrator). 1. Ensure that newsfeed is enabled. In My Site settings page, scroll down and check “Enable newsfeed on My Sites” and click OK.
2. Ensure that the “User Profile Service Application – Activity Feed” timer job is scheduled to run (say every 5 mins). 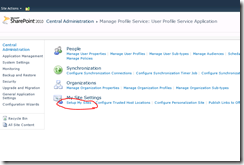 Navigate back to SharePoint Central Administration > Monitoring > Review Time Job Definitions. Since each My Site is a site collection and before you create a blog post, a new sub site based on a blog template is required. Once this is created then go ahead and create your blog post! Navigate to your my site profile page and edit your profile to select any other active you would like to follow. Navigate to your Search service application within central administration and start the full search crawl. This may be unnecessary but at the least try the incremental crawl depending upon your crawl schedules and time it takes to complete. 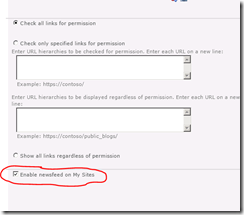 The main difference of including the search crawl as a step in the process is because the blog post and comments are part of the SharePoint site which does require for search service application to crawl, in order for newsfeed to display the blog updates. Note: Please check the crawl rules as well to confirm that my sites are not excluded from search crawling. 6. Wait for the “User Profile Service Application – Activity Feed” timer job to run, or run it manually. The blog post should now show up. An incremental (or full) crawl is performed. The “User Profile Service Application – Activity Feed” timer job runs. So I hope this post helps you solve the problem of displaying blog updates in your my sites newsfeed. 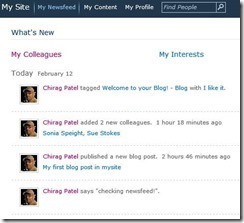 Happy blogging in your SharePoint environment and make your newsfeed interesting! 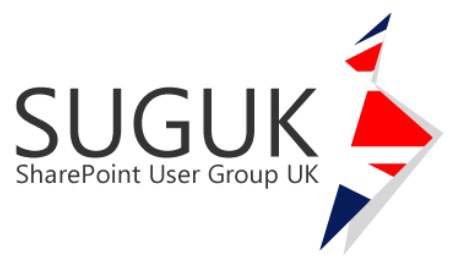 ‹ So you want to automate business forms and process?